Hekkie Budler (32-3, 10 knockouts), only the fourth South African to achieve recognition from The Ring Magazine as world champion (the others were bantamweights Vic Toweel and Arnold Taylor and junior lightweight Brian Mitchell), became only the second South African, after Toweel way back in 1950, to receive the actual championship belt at a swanky function, on August 2, at JB’s Corner in Sandton, Johannesburg. Budler shocked the world by dethroning Ryoichi Taguchi (27-3-2, 12 KOs) by close unanimous decision in Japan to win The Ring junior flyweight world championship, as well as the IBF and WBA belts, in a thrilling battle. 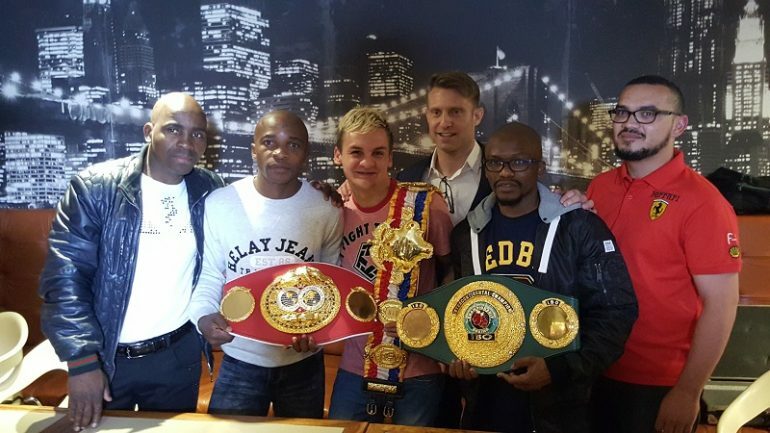 It was a well-attended evening, with many well-known faces in South African boxing, the press and TV turning out to celebrate the champion. Also supporting him were his stablemates from trainer/manager Colin Nathan’s Hot Box Gym, The Ring’s No. 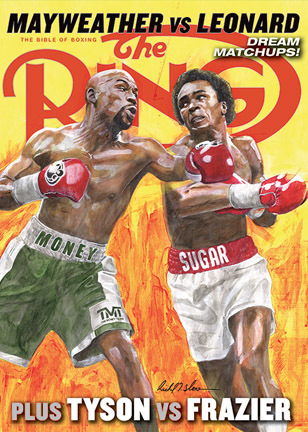 1-ranked flyweight and newly-minted IBF titlist Moruti Mthalane, as well as Simphiwe Khonco, the magazine’s No. 6-ranked strawweight, who scored a solid unanimous decision win, on July 22, over Toto Landero. An emotional Budler received the belt, thanking everyone who played a part in his success, in his usual humble way. The CEO of Boxing South Africa (the national commission) Tsholofelo Lejaka spoke about the ambition and determination that Budler exhibited in his willingness to fight the best, even if that meant going on the road. He expressed the hope that fellow South African fighters like Mthalane, Khonco, Kevin Lerena and Zolani Tete will also continue to fly the flag with him. 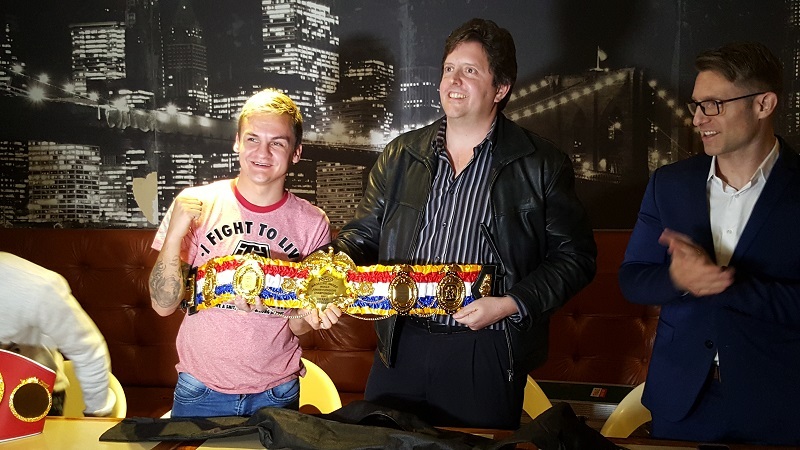 “We would like to see some more of these Ring belts over here,” Lejaka emphasized. Not an easy task by any means, since Budler is one of only four current divisional Ring champions, along with Oleksander Usyk at cruiserweight, Vasiliy Lomachenko at lightweight and Srisaket Sor Rungvisai at junior bantamweight. Then again, very few thought Budler would beat Taguchi in Japan. Given the right opportunities, anything is possible. You can follow Droeks Malan on Twitter @droeksonboxing.